How Running Changed Me: perhaps the biggest way it changed me is that I truly enjoy the gym. 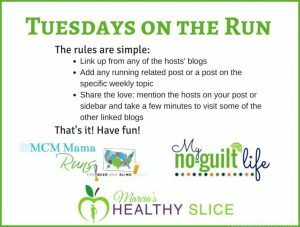 Linking up with: Erika at MCM Mama, Marcia at Marcia’s Healthy Slice, and Patty at No Guilt Life. And if anyone in the linkup knows where to find the prompts ahead of time, I’d love the link. I was lucky with this one, I spotted Darlene’s preview. 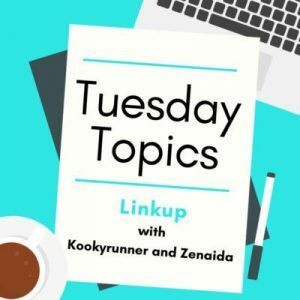 ETA: Upcoming topics here. When my gym closed to the public last summer, I knew I needed to find another perfect gym because I really wanted to keep up the running. When I look back at the pros and cons I identified almost exactly a year later, they still hold true. I want running to be a part of my daily life, and it is. That was never true of the gym before. I didn’t mind going, but didn’t exactly look forward to it, if that makes sense. There have been many times over the last year and a half that I was antsy for a run later in the day or wished I was running. I just printed out my gym visits for March – August and I’m at 64. Well above the 50 threshold which I used to have to stretch to get. When I look back at February’s claim, that was 63. A for consistency! Running is my therapy is an oft-used cliché, but for me it’s personally true. I love that time & space after work or before morning meetings to decompress. While I do listen to music, I also use the time to think. This was especially helpful last December during our busy time. 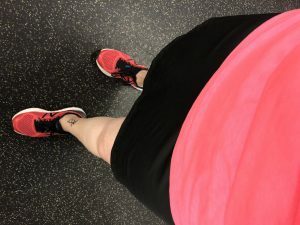 While my training wasn’t what I wanted it to be, I got there and I think the running helped me get through the really long hours that our fundraiser entails. Running is my happy hour also fits me perfectly. I mostly don’t drink** (zero tolerance, never really found a drink I thought was worth the calories), and even in our thirties so many events still revolve around happy hours and drinks. 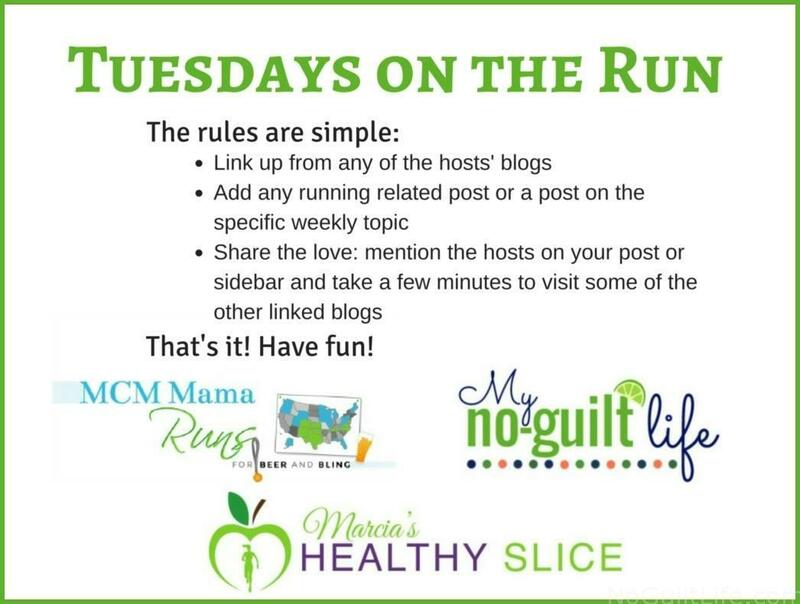 Running has enabled me to meet some fun people in different situations: a beginners’ run group that has mostly faded away but through which I met some fun folks; our office Thursday run group; the folks at Team MHRC; the Run the Year community; and of course all of you. Hoping to meet more of you “live” in the coming months and years. Running has also allowed me to connect with friends and colleagues in different ways. I had no idea they were runners, or knew but we didn’t have that to talk about because I wasn’t. ** That said, if you’re buying me a drink, I do love a frozen margarita. Extra salt. Running has also made me truly understand food as fuel. I learned early on that what I ate truly impacted how I felt when I ran and have tried to fine tune that over the last year. I’ve also learned that eating better in general makes me feel better. Is it perfect? No. Monday’s run was a hot mess after a salad, but I wanted both a run and a salad. While running isn’t about weight loss, I’ve found that maintaining the loss is easier with running than other forms of exercise and I do think I’ll eventually get through this plateau. 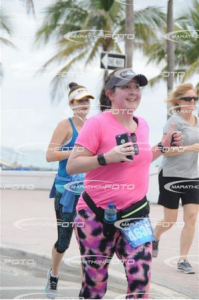 I ran in a skirt? Running has brought out the girly girl in me. I’m generally not a fan of pink. I don’t wear makeup and currently have 2-3 inch grey roots out of an agreement with my doctor to see if 22 years of dye is causing hair loss. I prefer flat sandals to heels and dresses? Well I’ve worn one twice this year which might be a record. Running? All bets are off. I even ran in a skirt although that particular one is out of rotation as its shorts ride up like crazy. Running has taught me that my body is in some ways a machine. Maybe not yet an efficient one, but it can do so much more than I ever anticipated, which I touched on after my second half marathon. And yes, that still sounds insane to say. I know I’ll never be skinny, and running has taught me to accept that. I may not be athletic-I’m not putting myself down, I’m just not good at sports-but I have an athlete’s body. I am an athlete. I am a runner. I think I have a lot more to learn from running, but really appreciate what it has taught me in the last eighteen months. Ah, this is lovely! I realised while chatting to someone yesterday that the runners are the main people I’ve met in reality first, rather than on the Internet. Not a bad thing to meet friends on the Internet, but it’s been lovely to develop a network of local friends, realy local, as well as my booky friends spread across the city. Running’s taught me I’m strong and tough and has given me lots of opportunities for helping others. I’ve never run in a skirt, though! I’m always intrigued by the SparkleSkirts & Skirt Sports I see at races and on blogs, but not likely unless I find one on Poshmark. They’re just so expensive. The one I have is a TJ Maxx find from last year. Running can teach us so much about ourselves! I’m glad you found something that you enjoy so much. Running has been so good for so many people. 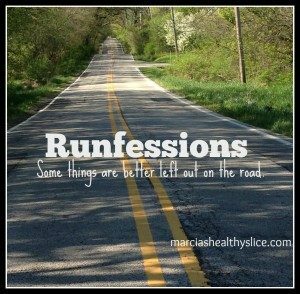 I enjoyed reading about the positive changes in your life brought about through running! Yes, yes, and yes! Running has definitely made me love my body and all that it can do. So much good here. I always have to listen to music when I am running. Sometimes I even listen to podcasts but end up thinking about other things in my mind that I miss something and have to rewind it a bit…haha. I was the same way about the gym. I’d get in a decent routine and then skip a month or 6. Nothing ever “stuck” the way running did. Now I can’t imagine life without it. Same! I never before managed a full twelve months of gym reimbursement and now it’s almost easy. While running isn’t cheap, it has made my gym free. LOL a month or six. That was literally what happened the back half of 2016 before I began running. And thank you on prompts link! I always love this one, but never knew it in time to write something. I don’t drink. At all. Would much rather eat my calories — most of my friends don’t understand that! I still don’t consider myself an athlete. I guess in my mind there is a difference between being good at some form of sport, and doing that sport for your own enjoyment. OTOH, running has definitely given me a lot of confidence & shown me I can do things I truly never thought that I could. My husband likes a glass of wine, but almost never gets drinks out because of the $$. Technically it’s a fruit. 🙂 Anything with a seed is! Yes! I think this is why I love 5 miles and the 15K. It’s an extension of my explorer gene and I’d rather see the area while running at length and, as Darlene and I discussed yesterday, get the photos too than have to focus on speed. Love this post. So interesting to learn everyone’s story. You know I love my skirts. How they feel and the pockets. But they are not cheap. I don’t go to the gym. I wish I had the time and I might enjoy it. I love that anyone can be a runner. Old or young short or tall overweight or underweight all shapes and sizes. And the community of runners both in person and virtually is the most supportive people around. Running is my therapy and my happy hour for sure. It’s also taught me perseverance and brought lots of new friends into my life! Yes. So many wonderful people. Glad you found me through my Cherry Blossom post, I think it was? Running has brought a positive transformation to my body. I have loved running ever since. Your journey is amazing. I’m not sure if I can pull off running in a skirt well enough but it sounds interesting.